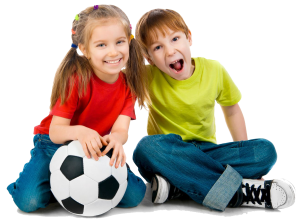 Sports Tots is a fun filled class with a variety of age-appropriate sports and games for children ages 2 & 3. Our curriculum is professionally designed to help develop motor skills, promote physical fitness, and create self-confidence of young children as they play and participate in class. Parent participation is required for the 2 & 3 year old class. Sign up today at the Front Desk! Yoga Tots is a time for you to bond with your little one holistically connecting your minds, bodies, and spirits. Enjoy exercise and activities that are fun for Mom and great for strengthening your tot’s motor skills.